Only 4 Premier models left in stock! 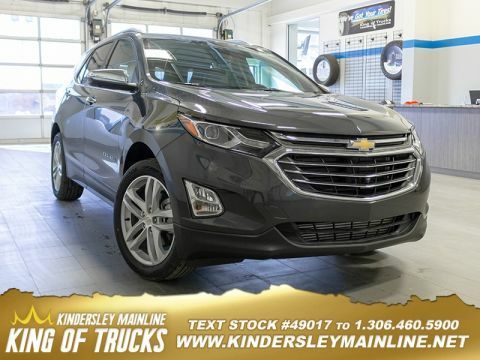 Get the versatility of an SUV with the impressive fuel economy of a crossover in the 2019 Chevy Equinox. This iridescent pearl tricoat SUV has a na transmission and is powered by a 252HP 2.0L 4 Cylinder Engine. Total rebate of $450 is reflected in the price. Credit includes $450 Delivery Allowance. 1.49% financing for 84 months. Incentives expire 2019-04-30. See dealer for details. 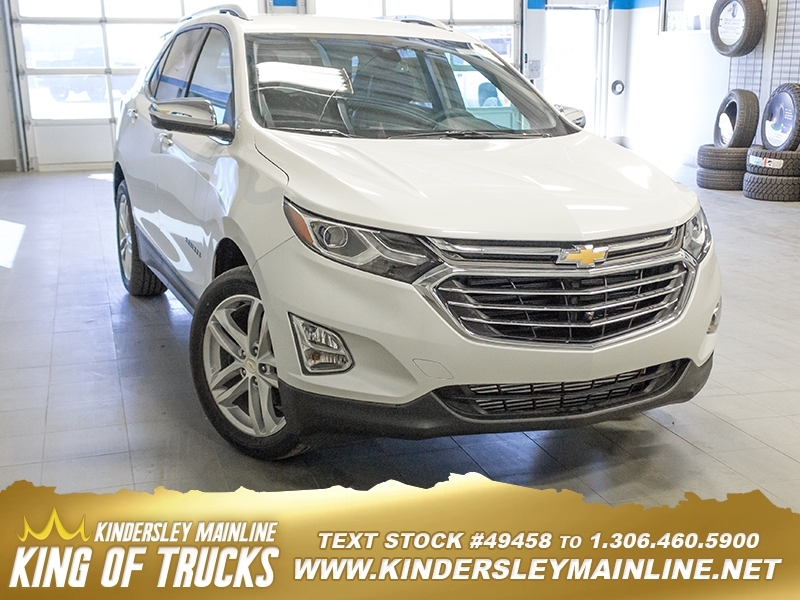 Located at 504 12th Ave East in Kindersley, we are easily accessible from SK-7. We have an outstanding reputation because we put our customers first. 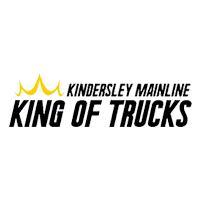 Our representatives at Kindersley Mainline Motor Products are seasoned professionals who have experience working with a large variety of new vehicles. AM/FM stereo, Bluetooth audio streaming for 2 active devices, Apple CarPlay and Android Auto capable, voice recognition, in-vehicle apps, cloud connected personalization for select infotainment and vehicle settings. Subscription required for enhanced and connected services after trial period. 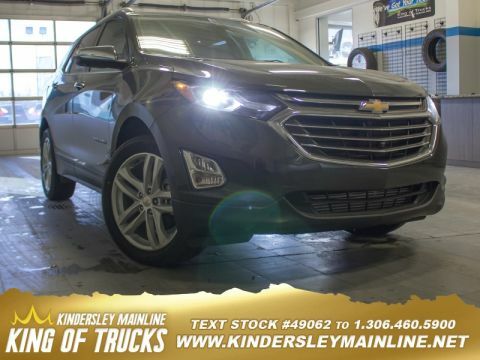 Thanks to our convenient location in Kindersley, not to mention our top-notch service, we’ve become one of the area’s premier automotive dealerships serving Saskatoon, Lloydminster, and other nearby communities. 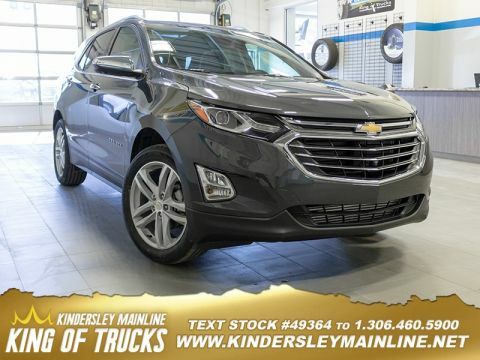 Whether you’re in the market for a new or preowned GMC, Chevrolet, or Buick, we offer an incomparable selection at competitive prices.